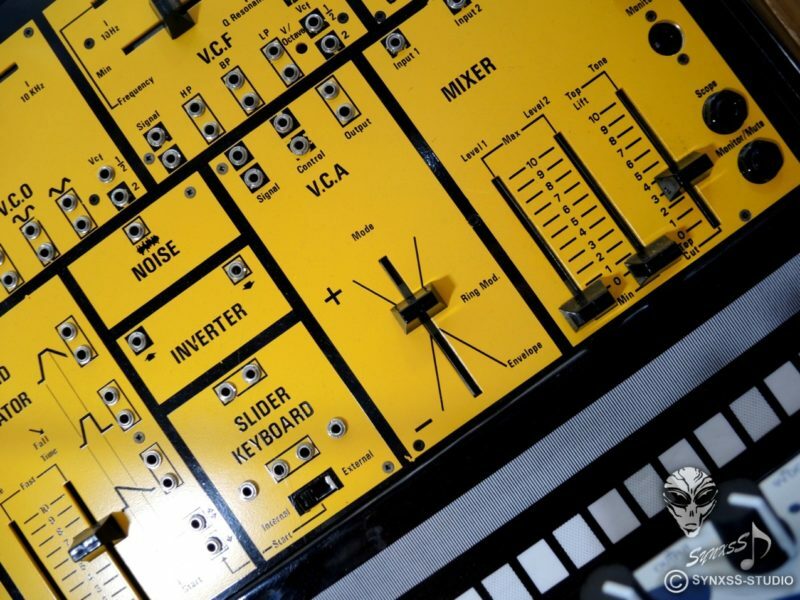 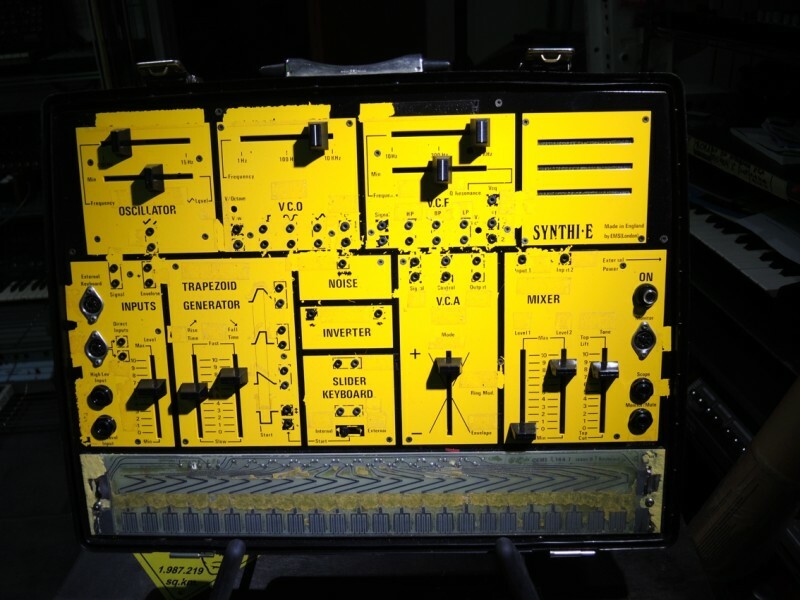 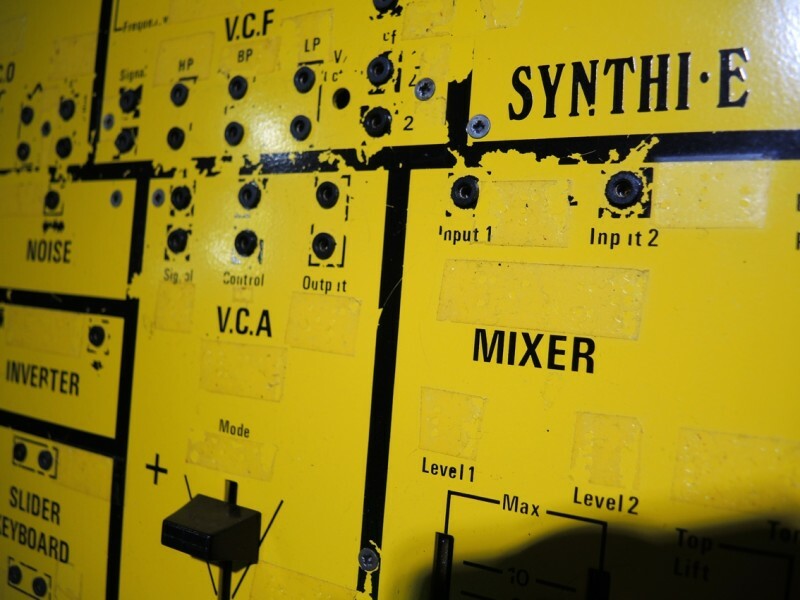 4-Sale: very rare EMS Synthi E -unrestored. 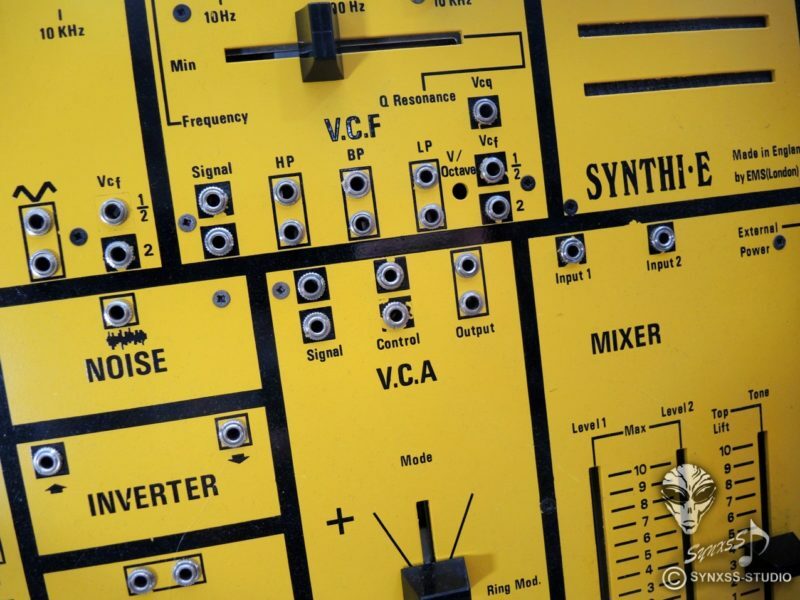 The Synthi works, but the unit need service and calibration. 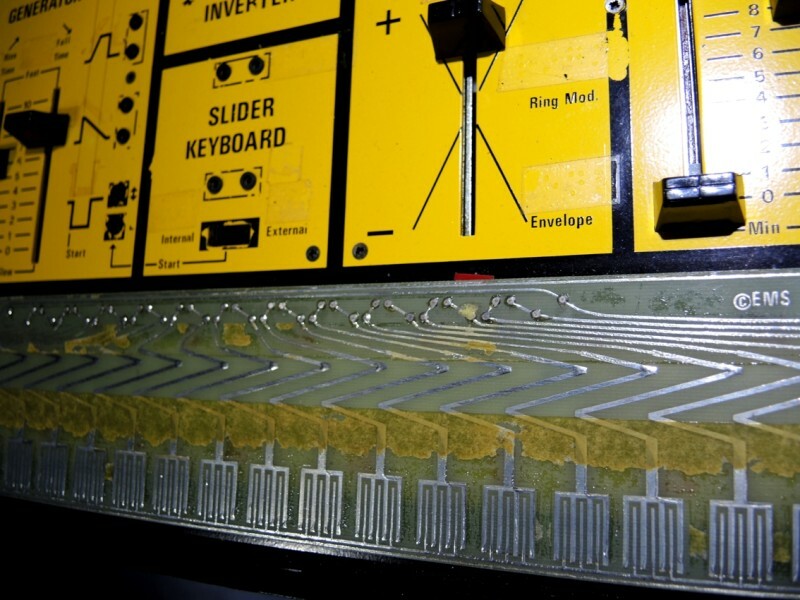 I find not the time, to remove completely the adhesive tape on the frontpanel (dymo-tape with braille). 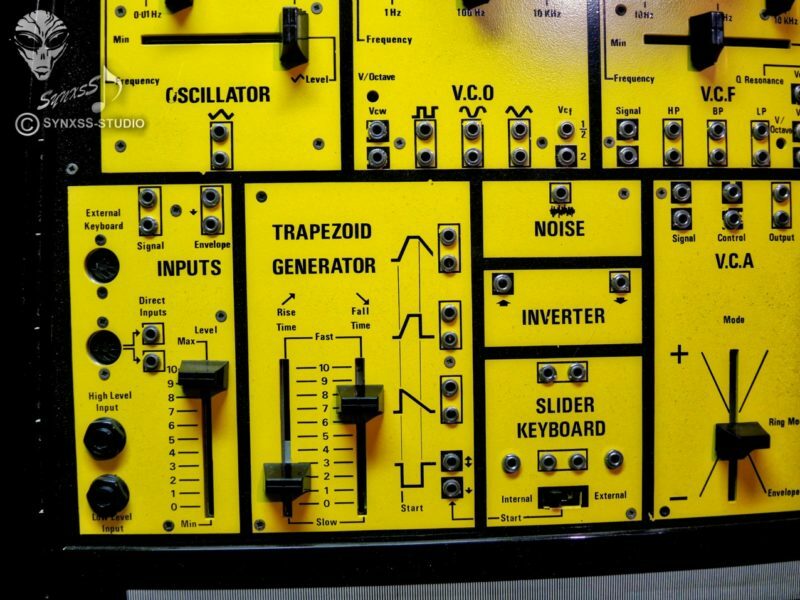 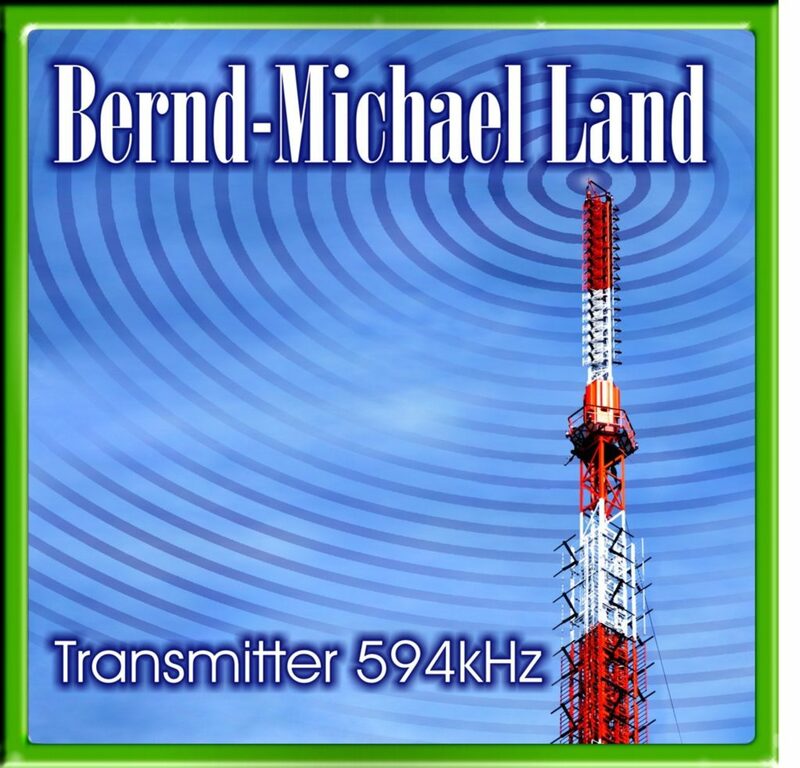 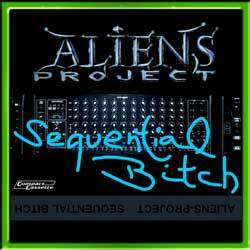 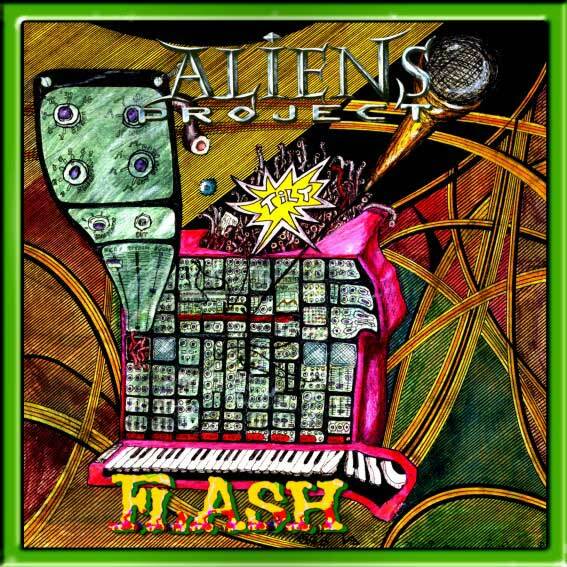 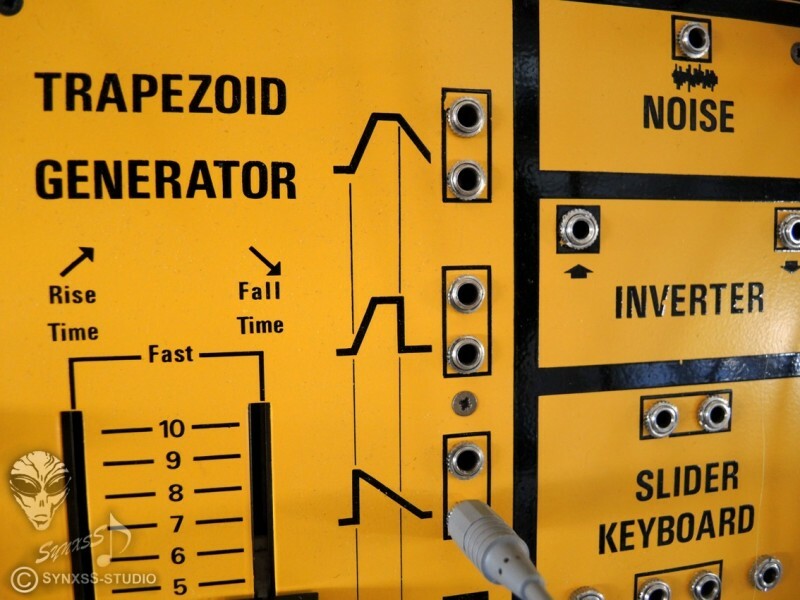 The synth comes from a blindschool and was many years not in use. 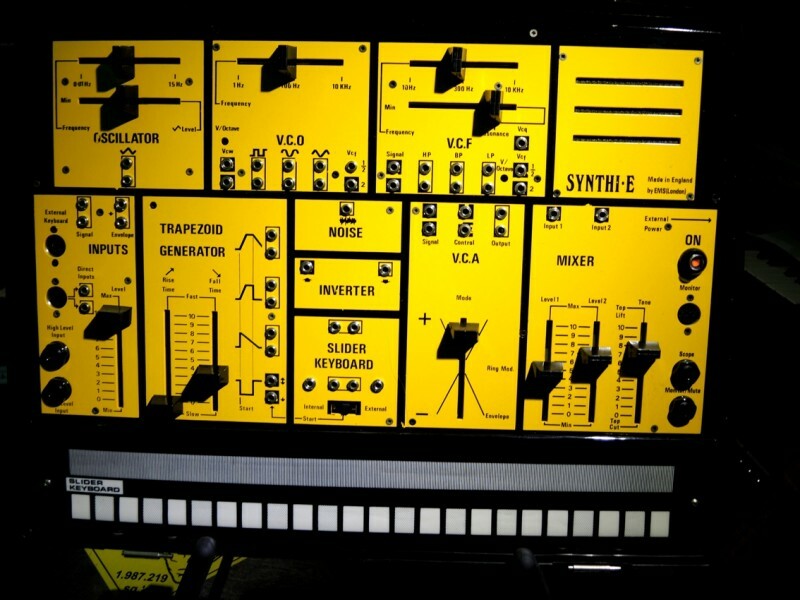 Here is a pic of my other Synthi E -complete restored and in good a perfect workin condition. 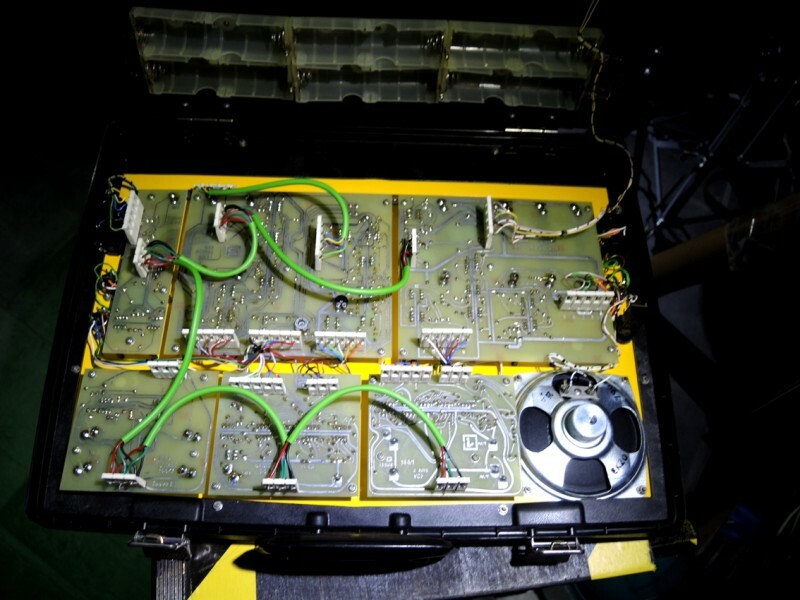 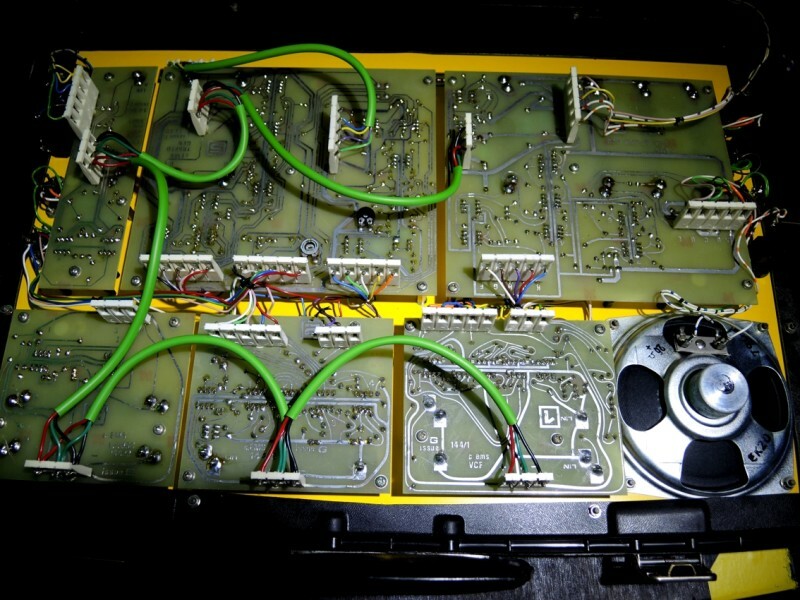 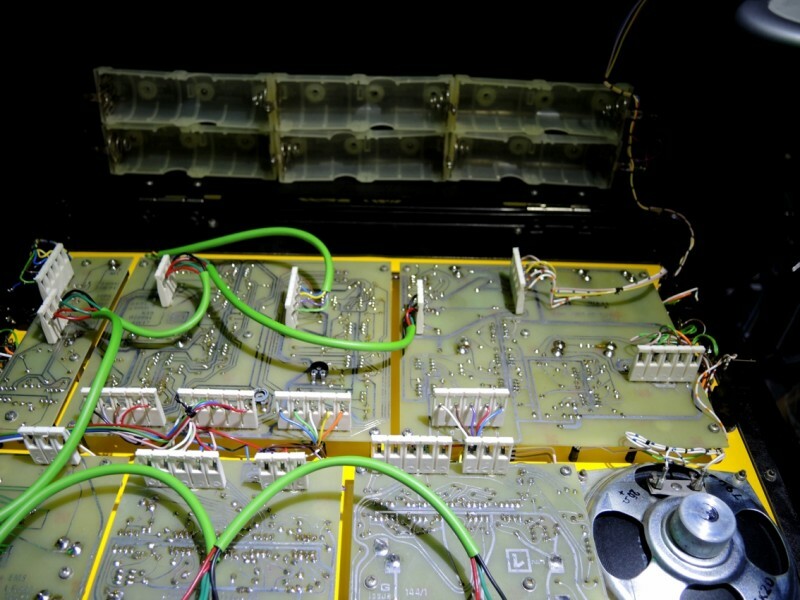 For a better work with other synths and sequencer we change the old minibananas to 3,5mm monojacks.